From this vantage point by the house at Rock Creek Gardens in Puyallup, Washington, I was able to capture the tip of Mt. 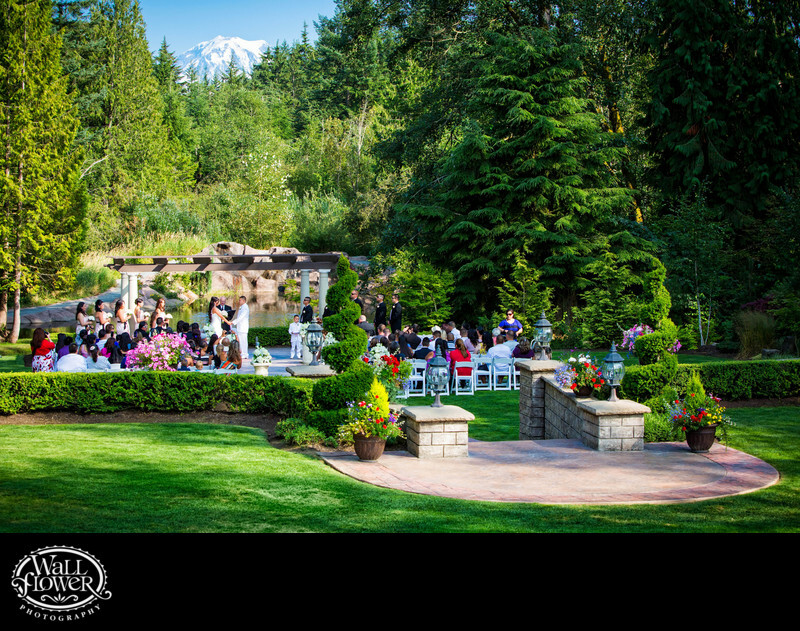 Rainier peeking over a low point in the dense forest surrounding the wedding venue, giving it a very secluded feel. The RCG ceremony site also features a large columned pergola, a massive concrete paver staircase with retaining walls, and a wide colored concrete pathway.